Designed with 5 x 20mm ceramic tube, 10A breaking current. Widely used in power supply, switching power supplies, computers, chargers, telephones, household appliances, communication products, all kinds of instruments and electronic components, electrical products, is indispensable in electrical products safety accessories. 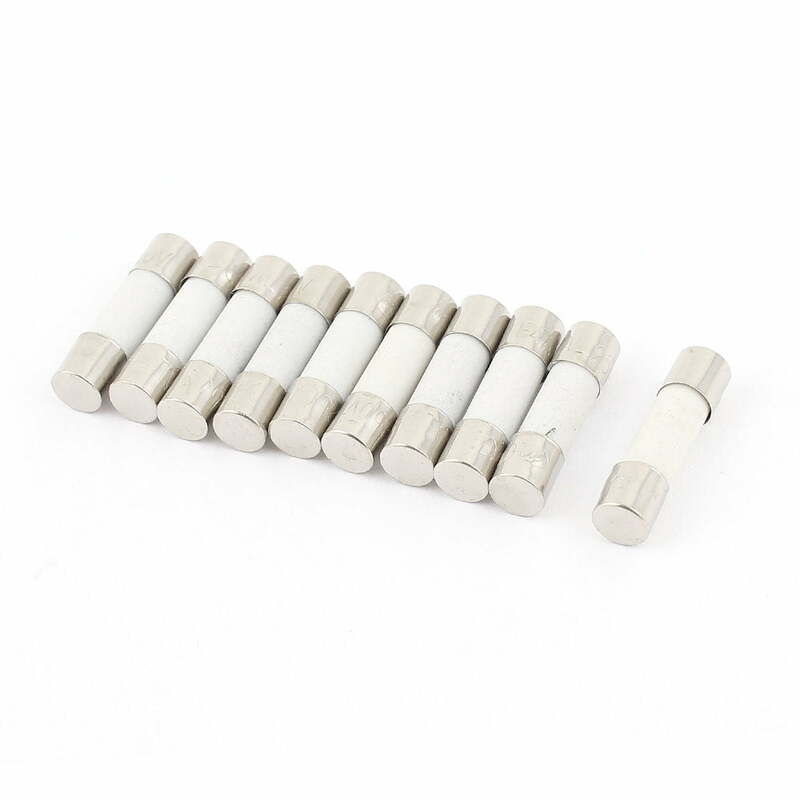 Our store also have other fuse tube, other rated breaking capacity of ceramic fuse, glass fuse, and resettable fuse. Q:Can I the use of the glass fuse and ceramic fuse alternately? A: The rate current of ceramic fuse is higher than glass tube, and the sand in ceramic tube sand has the effect of cooling arcing,when the current more than nominal capacity, do not use the glass tube instead of the ceramics tube.Whereas ceramic tube instead of the glass tube will lose protection.